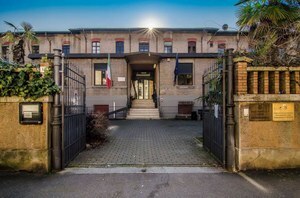 "Roberto Ruffilli" Central Library is a Forlì Campus support facility. It provides access to high quality library services and resources to meet the needs of the academic community and the people of Forlì. Easter holidays, Library closing, interlibrary services suspension, dictionaries for loan, EZproxy service AlmaRE. Opening times, how to reach us, how to access the Library the staff and the Scientific Board. Ruffilli Central Library ensures accessibility and services for disabled people. Online catalogues to search books and serials. 162.000 volumes (about 60.000 on open shelves), more than 3000 printed periodicals (274 of them current), 27.000 e-periodicals, 1900 dissertations, 1500 music cds, 800 dvds, 330 databases on the university network and 2 locally accessible databases. Ruffilli Central Library provides access to high quality library services and resources designed to meet the needs of the academic community, University staff and the people of Forlì. The Library will close on Friday 19 April at 14:00 and will open on Tuesday 23 April at 9:00. On Thursday 25 April and on Wednesday 1 May the Library will be closed for national holidays. Interlibrary services will be suspended from 18 April to 2 May 2019. Requests sent during this period will not be processed or kept for reopening.